But what skills should you look for in a web developer? And do you need a web developer or a web designer — is there a difference? Here’s a closer look at the specific skills and talents your web person should have, so you can identify what you’re looking for and better understand what web-related skills are needed to build the best site for you or your business. A web developer is a programmer who creates programs and applications for the World Wide Web. A web developer knows how to build a website from the bottom up: they can create custom code to accommodate your unique needs, developing everything from the site layout to features and functions on the webpage. A web developer is typically tasked with building a website from the ground up, using skills in one or more of these three areas. In fact, large-scale web projects often divide these tasks among multiple web developers: one developer may focus on setting up the back end of a site while another focuses on the client side to add style and functionality to the website itself. The advantage of building a website from the ground up is that you can create something original that fits your specific needs. It’s easiest to look at a web developer description by splitting the skills into the three areas mentioned above: client-side languages, server-side languages and database technologies. Server-side scripting is a technique used by web developers to build the backend of a website. Why is that so critical for your new site? A web browser’s storage is limited by the end user’s computer (i.e. the person using the website), so websites need to host the files and images that make the site work in a database on a web server. Server-side scripting involves constructing the framework that allows the database on the web server to communicate with the web browser of the end user’s computer. To make it work, the developer embeds scripts in your website so that, when someone using your site takes a particular action, the server can display set images or information. Server-side code is also inherently more secure, as the person using your website has no direct access to source code, proprietary databases or data beyond what’s specifically shown to them. The final set of skills to look for in a web developer is the database technologies they are familiar with. In order to work properly, every website needs a database to store its code, images, files and other data. The line between web designer and web developer is often blurred because there is a lot of overlap. A web designer will use graphic design software like Adobe Photoshop, Illustrator and InDesign to create the logos, graphics and layout that determine the look and feel of a website. The web developer will still have to understand the aesthetics and art direction of the web designer if they are handling client-side scripts, but they will be more concerned with functionality and features, like the shopping cart on an ecommerce website. 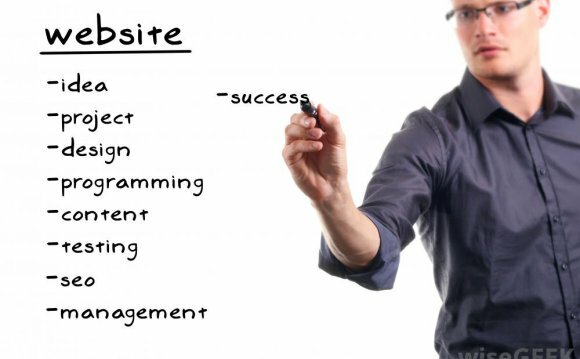 You need both skillsets in order to build a proper website, and often a designer may not even have to write the code. In this case, a graphic designer will create a visual representation of the website’s layout while the web developer will use code to make the layout a reality. For a web designer, knowing how to code can help them communicate better with the web development team. For a web developer, understanding the art direction of a website can help them write better code. Someone who has mastered both can make an excellent project manager, offering a perfect mix of form and function to a web project. Should I Become UI/UX Designer or Web Developer ?